in San Francisco on Sunday March 3. Somewhere in the world tonight there will be a benefit held for a musician in need of relief. According to a survey published by Rock & Rap Confidential there are over 1000 musician for musician healthcare benefits annually in the US. “I suspect that number has increased,” says Rock & Rap’s resident advocate Lee Ballinger who compiled the stats a couple of years ago, while benefit concerts continue to be on the rise: Given the worldwide economic climate, the cost of individual insurance premiums in the US, and the number of requests my own household receives for participation in such events, it’s clear that grassroots fundraising in the name of healthcare is a reality of 21st Century American life. And yet, community music events are just one puzzle piece in a complicated jigsaw of a healthcare plan, or more accurately a lack of one, currently impacting mid-career and older music folk now leaving us in epidemic proportions. Sure, we’ll all reach our time of dying, but a swath of a generation and entire class of mid-life professional taken out by illness and the financial burdens that accompany it? That’s the result of neglect rather than natural cause. The impulse to care for our fellows is born from compassion and human nature, we’re all doing what we can, and the music community is especially proud that “We Take Care of Our Own.” But some of us are at particularly high risk: Take the example of Paul Williams, the founder of the pre-Rolling Stone rock magazine Crawdaddy! wasting away in an assisted living facility following a long journey with early onset dementia. His wife, singer-songwriter Cindy Lee Berryhill supports him and their son during a now critical passage while subsisting on income derived largely from teaching music lessons. We take care of our own is nice in theory, but who is taking care of them, not one but two of us who gave their lives to rock’n’roll? Since the birth of the blues, mortality rates for musicians have never looked good: Rock is well-known to be a high-risk, life fast/die young profession. Toxically drunk and disorderly, small plane crashes, and ill-health brought on by lack of rest and road food are just some of the worst-case scenarios. A recent study even made the link between fame, premature mortality and childhood trauma. But for every well-documented and woeful tale of what made Jimi Hendrix, Janis Joplin, Kurt Cobain and Amy Winehouse go down, there are dozens more musicians whose problems are not those of wealth, fame, or unlimited access to pharmaceuticals. Mark Linkous and Vic Chesnutt made their way to the great gig in the sky. Then there are the musicians whose names you may not recognize firsthand but a glance at your record collection reveals the losses: Duane Jarvis, Amy Ferris, Michael Bannister, Tim Mooney, your friend, family member, band mate who was gone too soon—their name belongs here, too. They are not the first generation to be dismissed: Think of what happened to a chunk of the first generation of rockers: Most of them faded into obscurity, penniless, their contracts bunk, their psyches destroyed and their spirits demoralized. Though the circumstances and causes are as varied as cancer, heart attack and suicidal depression, these musicians were casualties of a healthcare infrastructure insufficient to support their special needs. Combine that with existent assistance agencies bogged down in bureaucracy, a fickle youth-obsessed market, diminished sales income from streaming, the price of gas on the road, the full catastrophe of life after 40 which often includes divorce, raising children while caring for aging parents, and you’re beginning to get a glimpse into the hot mess of the lives of the people who provide us with the so-called soundtracks to our lives. Sure, it’s arguable that some of these players may’ve survived their circumstances and respective illnesses—bodily and mental as the cases may be—if they had been given better information, had better managed their finances or simply had better genes or luck of the draw. Perhaps it was simply their time. But I don’t buy easy answers and arguments to complicated questions. Reminiscent of the AIDS epidemic that peaked in the early ‘90s and took out a generation of mid-life men, the conditions confronting mid-career, mid-level musicians is partly a consequence of no-one listening to the voices asserting that we have a crisis on our hands and there is not enough being done to correct it (and most certainly that crisis extends beyond the music communities and into the heart of America). Foundations like MusiCares and Sweet Relief, two of the highest profile agencies music people of all ages turn to when they are in need of gap and emergency assistance, are overburdened. Last month, MusiCares, staged its annual pre-Grammy fundraiser at the Staples Center and according to Kristen Madsen, Sr. Vice President of MusiCares, “A majority of the net funds raised from the 2013 MusiCares Person of the Year Tribute to Bruce Springsteen will go directly to help music people in need.” I asked specifically how that breaks down but no answer was provided. As for Sweet Relief whom I did not contact, their website reports they are currently supporting direct campaigns to help the elderly Lester Chambers get on his feet, as well as with the healthcare needs of international music pioneer Cheb i Sabbah, among other artists. Both organizations are committed to doing good works, are well-intentioned and have helped countless musicians, though neither can be counted on to be the sole solution for families in crisis. I’m also sad to report that both entities are in need of a little of that human touch when interfacing with musicians and families faced with illness and financial ruin. Applying for assistance is confusing at the best of times, but for artists felled by illness and hospitalization, the filing of complex and binding financial statements can be not only an overwhelming, from a sickbed it is impossible task. I speak from experience. In 2009, my husband, Peter Case, was hospitalized for an emergency surgery and the music community rallied: First responders were fans, followed by fellow musicians who donated through a fan-conceived website. Benefits over three nights and in three different cities were organized and the money collected went directly to pay medical expenses due to our then lack of insurance and lost income from his cancelled tour dates and my need to care give. Assistance organizations were contacted and one reached out, but in the end, their contributions added up to a fraction of our total bill. The outstanding amount was covered by a faith-based charity: Though they shall remain anonymous, faith-based organizations merit mention not only as our saviors but because they too are stretched to their limits and need your help. In our case, it was a combination of all entities working together for a common goal, taking care of their own, but an eleventh hour reprieve is not a solid plan. Universal health care would be the ultimate solution for working musicians. The Patient Protection and Affordable Care Act (PPACA or Obamacare) may be a way for individuals to reduce their costs. There are plenty of services out there, and if you know going in they are maxed out and not to expect much from them, they may be able to help. The services offered by MusiCares and their suggested outside resources are on their website as are assistance options compiled by Rock & Rap Confidential. “One way to connect and amplify the power of musicians is through 100,000 Poets and Musicians for Change,” suggests Rock &Rap’s Lee Ballinger. The organization promotes community among artists and is invested in highlighting events for peace and sustainability, including health care reform and the promotion of benefit concerts, a necessary ritual embedded into music culture as well as society at large. The all-star benefit concert was a concept pioneered by the late Ravi Shankar and George Harrison when they organized the Concert for Bangladesh in 1971. Today, wherever in the world communities are devastated, people are hungry or in need of relief, musicians are there, like the ghost of Tom Joad, to put on a show, whatever the cause. From high ticket events, down to sliding scale, pass the hat donation-style shows, community musical gatherings raise not only necessary funds but spirits, especially in times when bystanders often feel helpless or in need of inspiration. Until anyone has any better ideas, they will remain a large part of the solution to a larger systemic problem involving the cost of health care, especially diagnostic tests, and the hazards of the rock’n’roll lifestyle. It is also why this weekend in San Francisco, a hugely impressive role call of mid-career musicians will be coming home, reuniting and lending their support to Tom Mallon, recently diagnosed with a brain tumor. 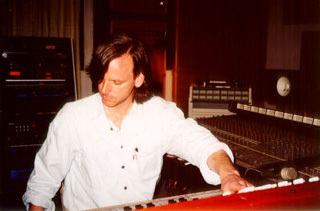 As a producer, engineer and musician in his own right, Mallon recorded San Francisco punk and alternative bands at low cost at his recording studio during the ‘80s and ‘90s; he was also a member of American Music Club. “In San Francisco, we take care of our own,” says musician and H.E.A.R. founder Kathy Peck an advocate for local musician’s health and welfare, and acknowledged for her work by Pete Townshend and Les Paul. No doubt your local scene has its Tom Mallon or Kathy Peck—musicians and their advocates, able-bodied and disabled, the quiet shepherds and not-so quiet speakers of your community’s musical intentions. Now is the time step up and help them and the musicians of their generation, of your generation, in your town and across the miles and help them meet their goals: It could be a large check from a made musician or industry-sponsored organization or simply a kind word, a prayer or a homemade card of acknowledgement. Because this and that and all of it put together is what it means when we say, “We Take Care of Our Own,” and the time to take care is right now, before they’re all gone.